The standard carrier-borne fighter bomber used by the Royal Navy as well as the German Navy forces, although with different vertical surfaces. 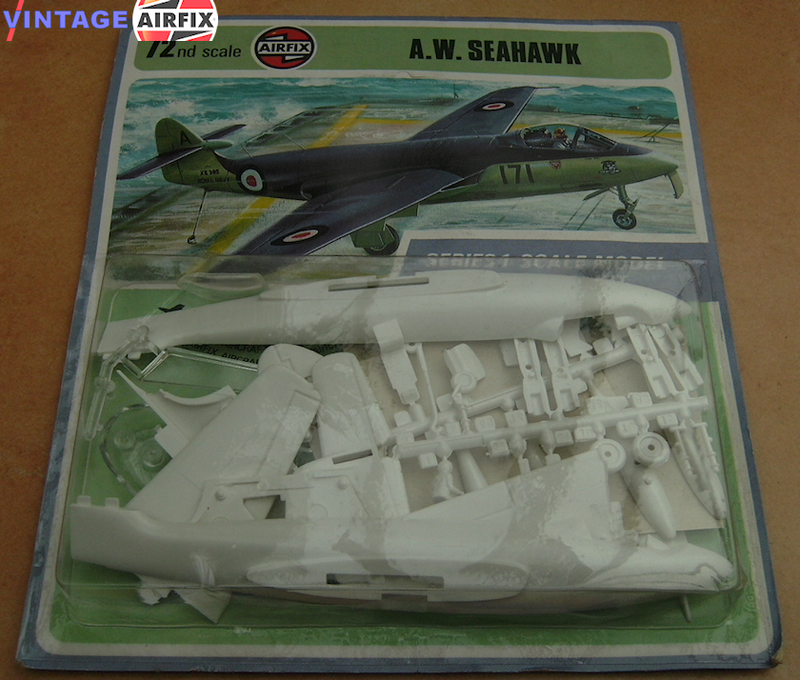 This Airfix kit includes both types of transfers, and with the choice of fin and rudder supplied, either version of this aircraft could be modelled. With a speed of around 630 miles per hour, the Seahawk is powered by a Rolls Royce Nene 103 turbojet engine.